This week's episode 179 At what point should an artist stop being a dated stereotype and opt for having integrity rather engaging in harmful and exploitive imagery? Bret Michaels this is about you. 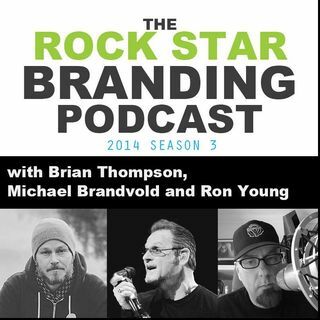 If you like the podcast I ask that you visit iTunes and please Rate & Review The Music Biz Weekly podcast. I ... See More am joined by co-host rock star Ron Young of Little Caesar. For those of you unfamiliar with Little Caesar, they were signed to a major label deal with DGC/Geffen Records in 1989 and had two big singles, "Chain of Fools" and "In Your Arms". Positioned as the next big thing, Little Caesar were managed by a team of industry bigwigs, including Jimmy Iovine, A&R by John Kalodner, and with Bob Rock producing their debut album. For all discussions, training, tips and tricks related to music marketing don't miss any episode of The Music Biz Weekly Podcast. Michael has also managed the online efforts for Dream Theater, ACCEPT, Killer Dwarfs, Motley Crüe, Rod Stewart, Madonna, Ozzy Osbourne, Madonna and Britney Spears to name only a few.